Summer School 2016 will be facilitated by members of COMMIT. COMMIT is an oikos initiative which is building a student movement to transform management education. 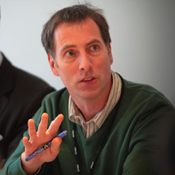 Chris is a Core Associate at The Oasis School of Human Relations where he leads on social and environmental change. Chris works in business, social enterprise and the voluntary sector to support individuals, organisations and movements that are working to have a positive impact in the world. He has a first degree in International Development and a Masters with Distinction in Strategy and Resource Management. He lectures in Corporate Governance and Corporate Responsibility as well as delivering programmes in business and the third sector on leadership, environmental responsibility, collaboration and community development. Chris has over fifteen years experience in management, including at Director level, followed by nine years as a consultant and facilitator. He is married with three adult children. He is a keen music-lover, has been learning tai chi for nearly twenty years and is honing his skills as a performance poet. See Chris’ profile on the Oasis website here. 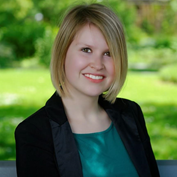 Julia graduated 2015 from the University of St. Gallen in Business Administration. In her studies, she focusses mostly on alternative (feminist) economic models and work practices for a sustainable future. Julia is active in several student initiatives. She has been President of oikos St. Gallen, where she began work on the topic of education in Oikos International. She helped to found COMMIT, the international student movement which aims to transform management education. Besides COMMIT, she also organises and facilitates workshops and training called imp!act (powered by euforia and oikos Vienna) for young people you want to become changemakers. She strongly believes in the power of youth which includes the importance of young people co-designing education, the economic system and society. When she’s not trying to shape the world for the better, Julia enjoys her life in Vienna, playing and listening to music, reading and discussing books as well as exploring new cafés and restaurants in the city. Anna is working as a forensic expert in a Vienna consultancy specialising in the field of business fraud. She finished her degree in Business Administration last year at the Vienna University and will start a Master in Urban Studies in the fall. Besides COMMIT she is also an active member of oikos Vienna, which she helped to build up and also served as chapter president during the term of 2014/15. When she is not working or trying to convince people of their world-saving superhero powers she likes to get to know the world a little better, travel around as much as possible and/or go climbing with friends or enjoy a beer or two with them. The COMMIT team is supervised by Chris Taylor an experienced lecturer, facilitator and member of the Globally Responsible Leadership Initiative.